Is your house a heavenly home? I don’t know about you, but I was glad to see the beginning of this week arrive! Since moving to Florida, we have noticed that things are a whole lot busier down here in the first three months of the year. Not only are the days shorter (OK, there’s just not so much daylight in the evenings! ), but there is more traffic and the lines everywhere are longer. It doesn’t matter whether you are talking about the grocery store, restaurants, the movies, or the dentist – the lines here are much, much longer during the months of January, February, and March than they are during the rest of the year. There are more golf carts, fewer open tee times, longer lines at the gas pumps, and yes, more accidents on the roundabouts! True Floridians call them “Snowflakes” (seasonal renters) and “Snowbirds” (homeowners who are only in their homes for the winter months), but regardless what they are called, there are more people everywhere! And with all the extra people, most of whom return to Ohio and other points north for the spring and summer, the place down here is much noisier than it is for most of the year. I’m not sure if it is because there are simply more people, or that the ones here are older and harder of hearing, therefore they talk louder and honk longer than they would have if they were ten years younger. I must admit, sometimes I miss the peace and quiet. But that feeling is really pretty rare. Most of our adult life, we have had kids and grandkids around to make up for the lack of other noise. Or we have a whole host of friends and neighbors. I am pretty well accustomed to doing some of my best work with the television blaring in the other room, noisy conversation among the people in the room competing with the latest version of HGTV, and somehow gentle mood music still playing through Alexa in the rest of the house. Oh, and did I mention the noise of barking dogs – we are now practically-professional dog-sitters here? All of this noise makes me long for peace and quiet. Can anyone identify with me here? It is so nice to have our family, complete with kids and grandkids, around, but it is even nicer when they leave! “After this I heard what sounded like the roar of a great multitude in heaven shouting, ‘Hallelujah!’” (Revelation 19:1) If I read that correctly, the Apostle John is telling us that there will be a tremendous chorus shouting Hallelujahs almost constantly. That doesn’t sound like peace and quiet to me! Just a cursory reading of this last book of the Bible which gives us a peek into heaven finds all sorts of occurrences of trumpets blaring, cymbals crashing, people shouting with loud cries and shouts of joy, horses thundering, and all. This all leads me to one conclusion: HEAVEN IS GOING TO BE A NOISY PLACE! If you question that, just spend some of your “quiet” time in Chapters 4-and 5 and 19-22 of the Book of Revelation! And you know, in a strange sort of way, this is comforting… I am reminded of the scene in 1980 in Lake Placid, New York, as the U.S. Olympic hockey team won the gold medal. The crowd went wild! Make no mistake about it — I enjoy every bit of the times of peace and quiet that we can salvage even in an adult community such as ours. But it doesn’t take too long for my bride and me to be longing for a little bit of that energy and excitement that the additional people here bring! We have found ourselves having to sit down even a couple times each week with calendars in hand, making sure we have not over- or double-booked our lives. We tend to get together with new friends here and play all sorts of games into the night (for the uninitiated that means it is past 9 p.m.!). And those games generate lots of noise – mostly laughter, I’ll admit, but noise all the same. These days, we are reminded of our home in the days when our kids were little. There was lots of noise then – noise that comes from singing, talking, playing together, celebrating together, and yes, even some spats. The principle is the same now as it was then: A NOISY HOME IS A HEAVENLY HOME! Now I know, my friends, that I will end up eating these words someday myself, but may I encourage you to remember this principle the next time the kids (or grandkids… or neighbors!) interrupt your favorite TV program, or the next time they come running through the house chasing one another, the next time they playfully harass the dog into barking needlessly. Remember…A NOISY HOME IS A HEAVENLY HOME! How noisy is your home? 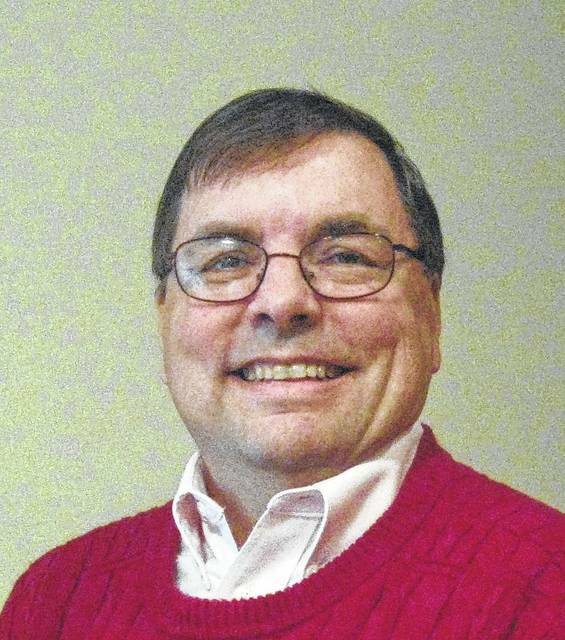 Chuck Tabor is a regular columnist for this newspaper and a former pastor in the area. He may be reached at cdtabor3@gmail.com.